1 Mar, 2017 | filed under Blog. Effects of Climate change are evident in the shifting weather patterns that have led to unpredictable rainfall and prolonged dry spells. This has been a challenge to a majority of Kenyan farmers as they entirely depend on rain fed agriculture. With the changing weather patterns, maize farmers in many parts of Kenya, traditionally known for maize growing, have experienced crop failure. This has necessitated seeking of alternative income generating crops that are more tolerant to adverse weather conditions. Farming alternative crops would increase farmer resilience to the harsh effects of the changing weather patterns. Kenya Markets Trust (KMT), supported by Department for International Development (DFID) identified this need and facilitated the introduction of commercialization of fodder production in the Rift Valley at a time when farmers found it difficult to adopt pasture production in place of their traditional maize as a cash crop. “Initially commercial fodder production was the preserve of a few large-scale producers and ranchers, who produce mainly for their livestock and sell the surplus. 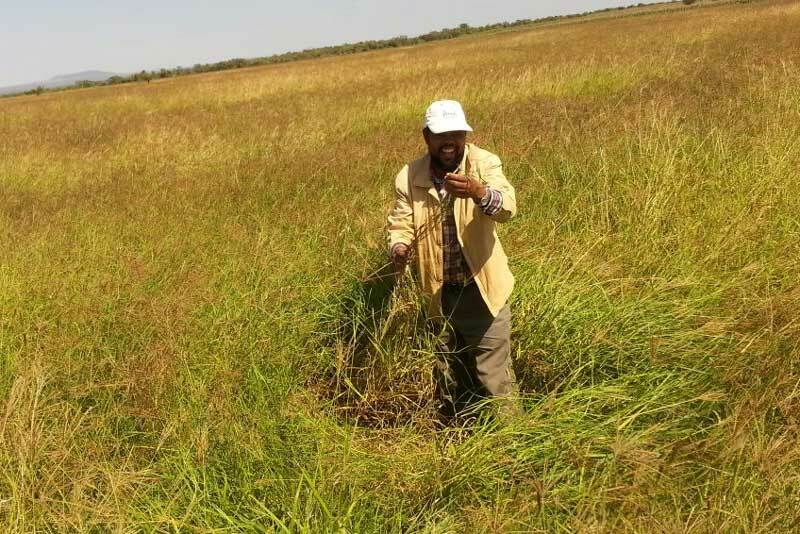 It was not easy to find a farmer who grows fodder for purely commercial purposes.” Noah Chemirmir, Chairman of Rift Valley Hay Growers Association notes. It took several pilots in the region to show case the underlying potential in this venture which has minimal investment requirement but a huge potential to build farmer resilience. Following the pilots for fodder growing, there in now an increase in the number of large to medium scale farmers pursing this enterprise. This has led to the registration of Rift Valley Hay Growers association. The Association currently has 263 members, and more keep on joining. The membership is spread across Nakuru, Narok, and Uasin Gishu Counties. Fodder as a potential replacement to failing Cash crops. Pastures and fodder, unlike maize and wheat, are more drought tolerant and can withstand effects of climate change, such as reduced soil moisture content and fluctuating rainfall patterns. With the introduction of commercial fodder production and a farmers’ association that is a key link to markets, the association members have been incentivized to increase acreage under fodder to about 6,000 acres in private entities and 400 acres in a joint association business. Alternative agro-enterprise versus a growing Dairy Sector. Majority of dairy farmers undertake dairy farming as a subsistence enterprise. They are highly dependent on naturally occurring pastures that are often poor in quality and short of supply during the dry season. This is normally supplemented with small quantities of planted forage that does not meet the daily nutritional demand of dairy cattle. Earnest Muthuri, the Director of Eor Ekule Dairy Limited in Narok currently with 700 acres under hay concurs and points out that “nomadic communities have always believed pasture is a natural occurrence and have never considered it being grown for commercial purposes.” This mentality is however changing as more of the local community buy hay from his farm to cushion their animals during the dry spell and are keen to learn how to grow their own. Farmers are still in an early stage of understanding proper land use and optimal production models that would give them maximum productivity. Fodder conservation models remain a scratch on the surface of the bigger seasonal production in the face of continuing reducing land sizes. 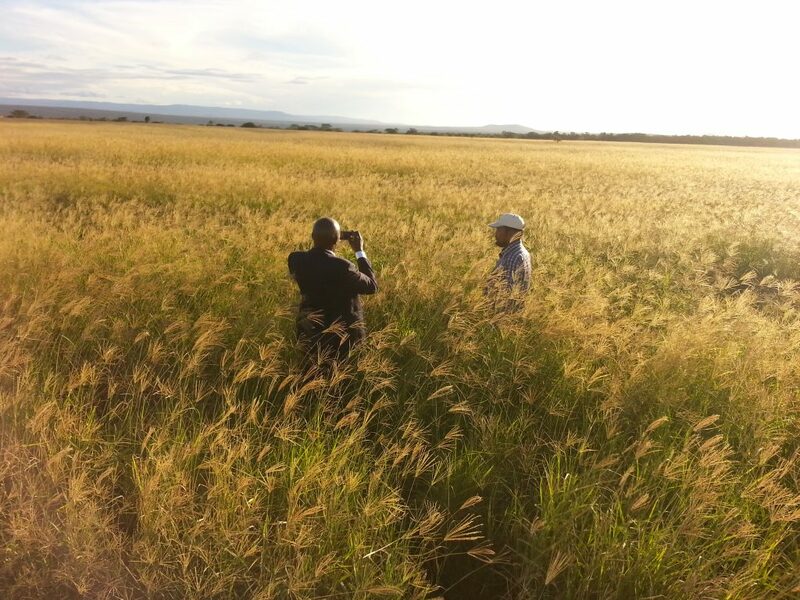 This possess a huge opportunity for commercial fodder producers to tap into. An estimated 1.2 million smallholder farmers form a huge market for fodder. The estimated demand for hay runs into millions of bales, with recent estimates from New KCC quoting about 15 million bales to serve their 18 dairy cooperatives. As the enterprise continues to grow, there will arise different market forces and imminent marketing challenges. 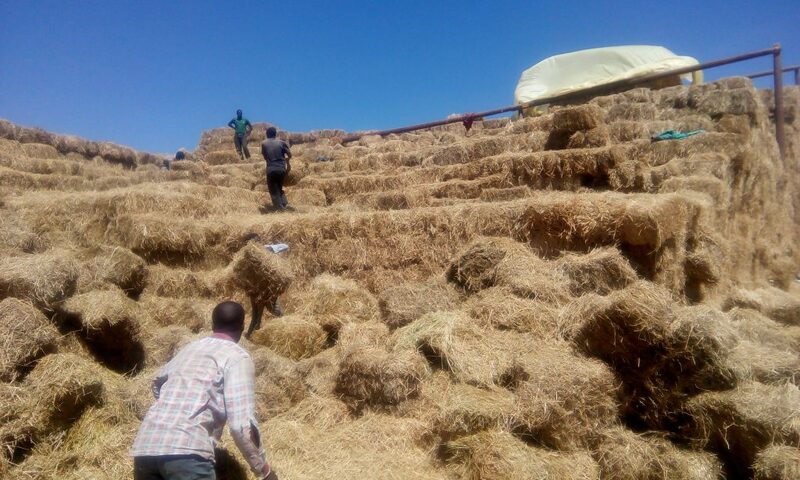 In partnership with the Rift Valley Hay Growers Association, KMT is working on an efficient “hay route-to-market” model that will enhance access to markets for both the hay producers and dairy farmers. By venturing into commercial hay production, farmers stand to contribute immensely to land reclamation, add value to efforts of carbon sequestration and more importantly have an alternative enterprise that will enable them to be more resilient to adverse effects of climate change.